Etisalat (soon to be called 9Mobile) is currently offering loans of upto 100,000 Naira. 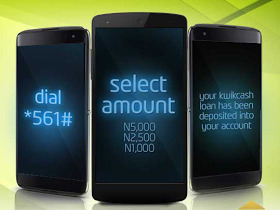 They have introduced a service called Etisalat KwikCash, that gives loans of upto N100,000 without hassle. If your bank account is always reading below N1000, Etisalat KwikCash is here to topup your account balance, while you pay later with 15% interest rate. KwikCash is only available for everyone on the Etisalat network. Once you have an Etisalat sim, you are eligible to take a loan. KwikCash is a mobile loan solution, that allow you to access loans of up to N100,000 just by dialing a simple code on your Etisalat line and get credited in minutes. Follow the below steps to pay back the loan. That's all. This is yet another innovative way to get quick cash and pay back later, brought to you by Etisalat. Omo. This people wan hustle us. And people will fall for this o. Emi laye mi. Tueh. 😂.. This network is already rekt..